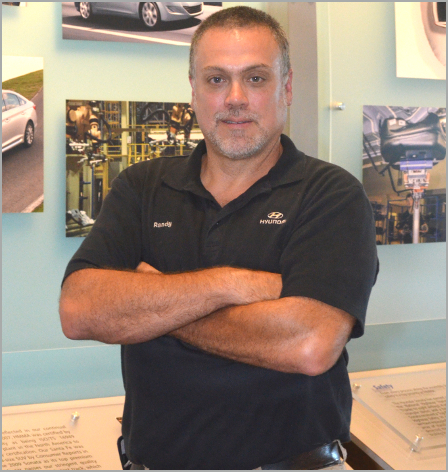 HMMA Team Member: Randy Williams | Hyundai Motor Manufacturing Alabama,LLC. Randy Williams is a quality process evaluation specialist in the quality assurance department. He has been a Team Member since October 2006. Randy said the machine would have to measure 13,000-18,000 points per vehicle to evaluate body quality, and that was a time consuming process. Over time, that evaluation process evolved and improved. In 2013, Randy moved from body QC to the quality evaluation department, which is now called quality assurance. He says over his time here, he’s watched Team Members grow to understand how they can build quality into the cars every day.